In 2009, I was one of the co-founders of The 500 Club (originally set up with 500 donors who each pay $1 per week to support 36 orphans) under the umbrella of the charitable organization “La Fondation des foyers Angèle” to help pay for their education, food, clothing etc. Donations gratefully accepted here: http://www.foyersangele.org/en/Welcome.html. In 2010, devastation hit. 8 years ago today, on January 12th, Haiti’s earthquake shook the Richter Scale at a catastrophic magnitude of 7.0. Like many Canadian musicians, I helped organize & perform in fundraisers to help raise much needed funds for Haitians in dire needs. Plus, our on-going project, The 500 Club, expanded to now help over 50 children. A year later, in March 2011, I flew solo to Port-au-Prince and saw first hand the devastation of the earthquake. I stayed with a family and we drove to the school where our adopted children were attending near a coconut grove where they lived in modest houses – some of them 9 in a small one bedroom building. 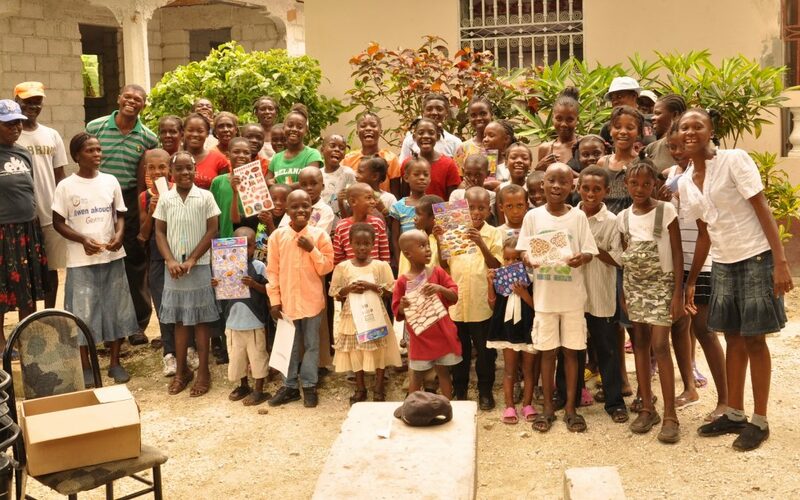 What I remember most was the spirit of Haitians – who have smiles that can light up a city. Who are impeccable in their grooming, clothing, hair etc. No matter how bad their environment was due to the devastation, with garbage piled up, split roads, they were in their colourful clothing going about their lives with courage and dignity. How I love the spirit of that place. Their strength and resilience and their music! Oh My! I sat on a rooftop with my hosts and some of their neighbours and we sang (in between the ruckus of the roosters crowing but that’s a whole other story). The next day, some of the neighbours told us how they heard us sing and enjoyed the music. This was amidst broken down homes, torn up streets, rolling electricity that left us in the dark most of the time never knowing what time it would come back on every day. With special thanks to photographer Phil Carpenter of the Montreal Gazette for these amazing poignant photos he took shortly after he visited Haiti shortly after the earthquake. I salute you Haiti, land of the strong and the resilient. I salute you. Sound of Haiti & Réveil en Haïti (I Wish I Had Wings) are available on Spotify, iTunes, Google Music, Amazon, etc.